Running anything on a Windows PC has one basic drawback. 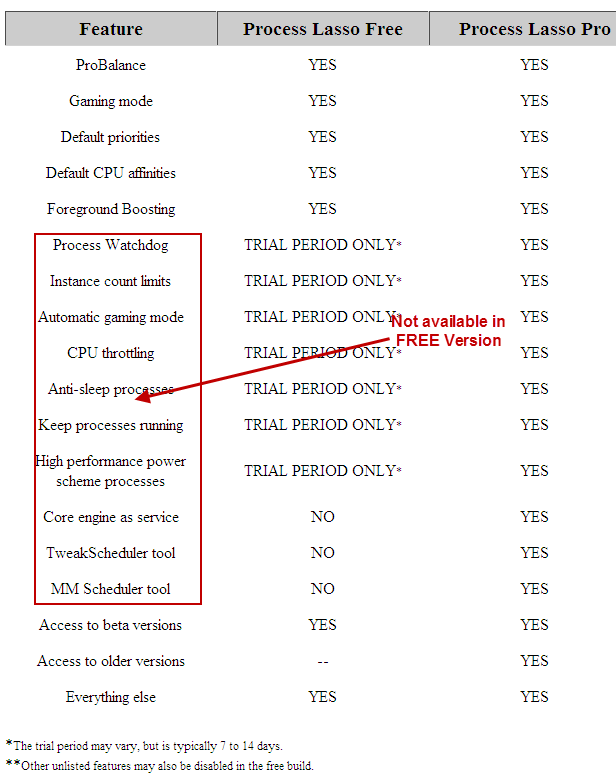 Any single process can hog all your Memory and CPU of your system making it unresponsive and less stable. Today we will talk about “Process Lasso“Â which is aÂ greatÂ process priority optimization and automation software that improves your PCâ€™s â€œresponsiveness and stability during periods of high CPU load. Process Lasso is a unique new technology that will improve your PC’s responsiveness and stability during periods of high CPU load. Windows, by design, allows programs to monopolize your CPU without restraint — leading to freezes, hangs, and micro-lags. Process Lasso’s ProBalance (Process Balance) technology intelligently adjusts the priorities of running programs so that badly behaved processes won’t negatively impact the responsiveness of your PC. It uses ProBalance technology to adjust priority of running programs so that memory hogging programs can be controlled automatically and you system remains stable. In addition, Process Lasso offers capabilities such as default process priorities and affinities, termination of disallowed processes, instance count limits, a system responsiveness graph, logging of processes, keep select processes running (auto-restart), and much more! Process Lasso can do its job consuming almost no system resources, as core process management engine is isolated from the GUI. 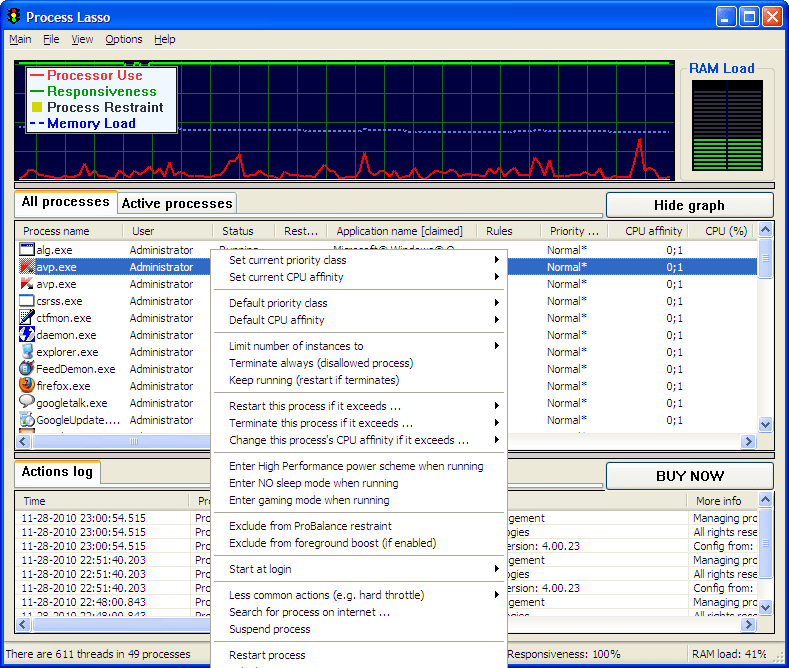 Process Lasso supports both 32bit and 64 bit versions. It also got a paid Pro version and a Free version with Pro version having some advanced features. But for most of us, Features of Free version are good enough. If you want to know how this works, please visitÂ “How Process lasso Probalance Works“. Just as a small example, see the screenshot below of process Lasso on my system where it changes the priority for Firefox as it was consuming too much memory. Give this a try and share your feedback with us. From my viewpoint, it’s another good application just like CleanMem. I use Clean mem. But I have tried Process Lasso, and its good. But it hasnt been updated since 2006, So I guess it wont work on Computers which run windows 7.